An event like Vinexpo Hong Kong (25-27 May)... they should do that every year during the futures campaign: what a bliss, this whole week without 2009 releases... finally time for other things! I have the feeling that - later - we will be talking about pre-Vinexpo releases (part 1 of the campaign), and post-Vinexpo releases (part 2). Like last year we talked about the 2008s released before, and the ones released after Parker's verdict. The correlation is not perfect, there are more factors determining price (e.g. the 'Parker-effect' for Larcis-Ducasse), and the list is still quite short, but it seems clear that price and pedigree largely determine potential price raise. 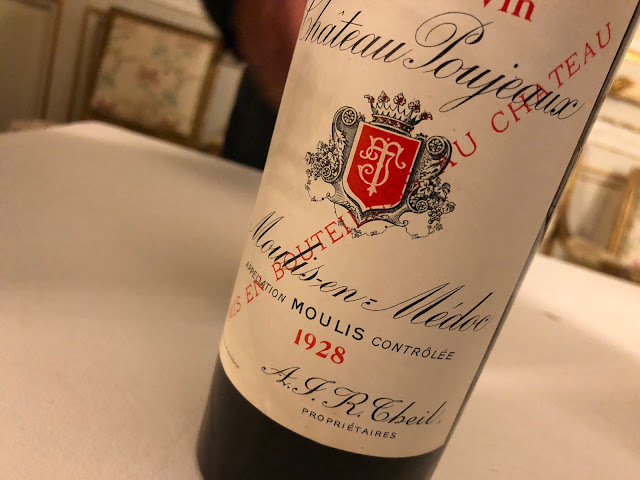 And that's why there are speculations today about the premier crus to get even more expensive than they were in 2005... Lafite, Latour, Margaux... they are not just great wines, but luxury brands hunted by the same people how want to drive an Aston Martin and wear Patek Philippe. The ordinary wine geek will probably only taste these wines upon invitation; so really, it pays to hang out with the new super riches. Too bad only, many of them buyers are from Asia, new millionaires who simply want to impress their (business) peers with the biggest names - c'est tout. We can only hope the Lafite that they pour will not be mixed with cola. Anyway, it might be wise to just forget about the premier cru's; it's a different league - they're out of sight. Like I never think about buying an Aston Martin. Luckily there are lovely alternatives, e.g. the wines that I suggested in my April blog postings. You can also visit Bordoverview to get an idea about which wines might be interesting buys. The lull before the storm. The first part of this posting was written last Friday. Now it is Sunday evening. As from tomorrow it will probably be a madhouse. For the 'dynamics' of the post-Vinexpo 2009 campaign price will clearly be the determining factor. And perhaps I should add: as always.